The John E. Olney Sr. Ichthyology Award honors the distinguished career of the late Professor John Olney, and his unwavering dedication to fostering young marine scientists and ichthyologists. The intent of this award is to celebrate John’s life and accomplishments and inspire future scientists by supporting their pursuit of knowledge and professional growth. This award provides funds to deserving graduate students for participation in educational and professional-development activities, including attendance at meetings, workshops, and special research opportunities in ichthyology. The recipient of this award, now in its 3rd year, is Ms. Adela Roa-Varon. Adela completed her Bachelors of Science in 2001 at the National University of Colombia in Bogotá, earning a degree in biology with a major in ichthyology. After graduation she worked at the Marine and Coastal Research Institute – INVEMAR in Santa Marta, Colombia, evaluating the ecological impacts of the Urrá hydroelectric dam on the local fish community. 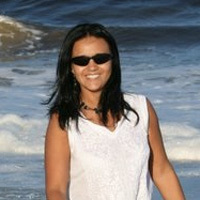 Adela earned her master’s degree from the University of Nebraska, Lincoln in 2007, studying the evolutionary history of cods and their relatives. She then moved to the Center for Marine Science at the University of North Carolina, Wilmington to work on the taxonomy and ecology of deep-sea fishes. She has also worked and studied at the California Academy of Sciences, the Museum of Comparative Zoology at Harvard University, and molecular labs at the Smithsonian Institution and George Washington University. Adela arrived at VIMS in 2011 to pursue her Ph.D. with Dr. Eric Hilton, focusing on the systematics and morphology of deep-sea rat-tail fishes and conservation genomics of hakes.